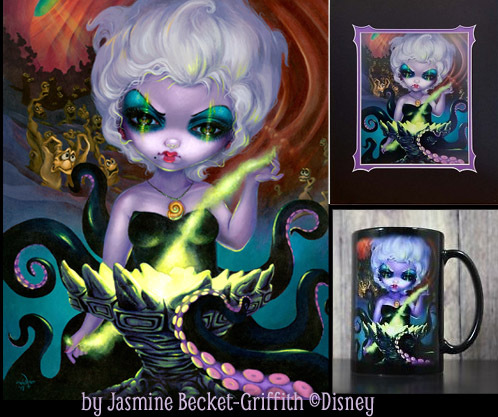 Strangeling’s Big Annual Sale, Jasmine’s Vampire Chihuahua, Disney Events & more! It’s our annual BIG SALE up at Strangeling.com – 25% OFF all our prints, canvases, masterpiece & limited editions (wow!) with coupon code THANKS2016 . Worldwide shipping. More details below – sale runs through the end of Monday. UK folks – StrangelingUK.com is also running 25% OFF their site with the same code! People’s Choice Apparel here is also running a 25% OFF sale with their own coupon code BLACKFRIDAY25 for my T-shirts, shirts and throw blankets (including new special edition Christmas blankets with my holiday artwork). In other news – Blue Angel Publishing and I have developed the new “Jasmine Becket-Griffith Creativity Journal” – you can see the first several pages as a sample PDF here It’s a super neat product, a combination of a blank lined journal filled with full colour paintings and lineart of my paintings along with quotes I myself have selected, 220 pages in all. It’s just popped up for pre-order on Amazon here or if you live overseas and want FREE worldwide shipping, go through Book Depository here. It will be available in the next month or two (even though Amazon is quoting much later for some reason). 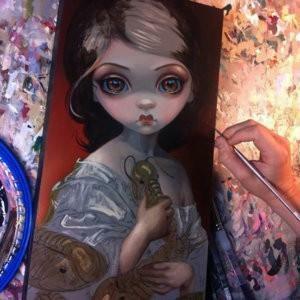 Jasmine’s coming to Stranger Factory in Albuquerque! Thank you all who came out to my shows at Disney these past couple weeks! We all sure had fun! 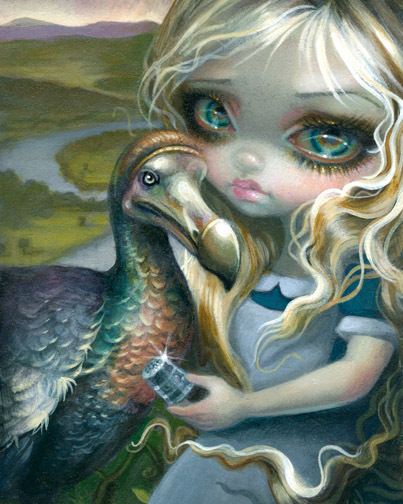 I’m on my way now to my very first show in the Southwest – June 3rd in Albuquerque, New Mexico I will be at Stranger Factory! I’ll be at the gallery from around 6-9pm, details are here. I will be debuting four new original paintings (see below for details), we’ll also have many beautiful canvas giclees, prints, etc. and I’d be happy to autograph / sign anything you bring with your or that you buy at the gallery. In other news – I’m giving away another original painting TONIGHT in a Patreon giveaway! You still have time to sign up, as long as you are a Patreon member by 8:00PM EST tonight (May 31st) you will be entered automatically. Winner is chosen by random number generator. Subscription starts at just $1. 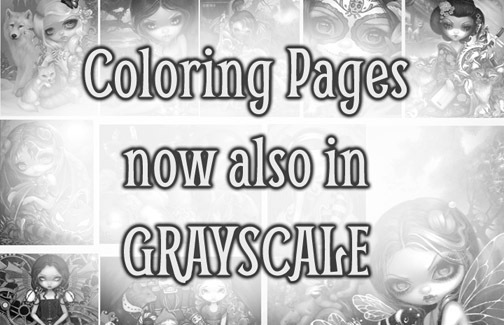 Click here for details (and click the orange “Become a Patron” button to join!) or scroll down for more info. 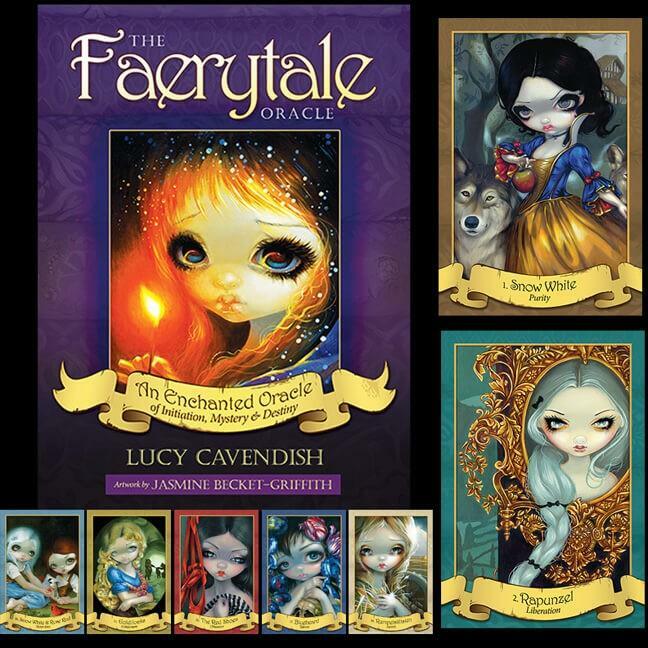 Faerytale Oracle – autographed copies available for pre-order now! My Faerytale Oracle Deck is now available for preorder! 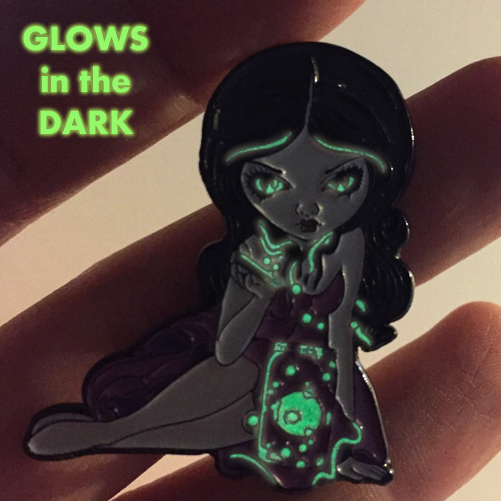 We have a limited number of these coming our way this June for shipment from us here at Strangeling.com Click here to pre-order! 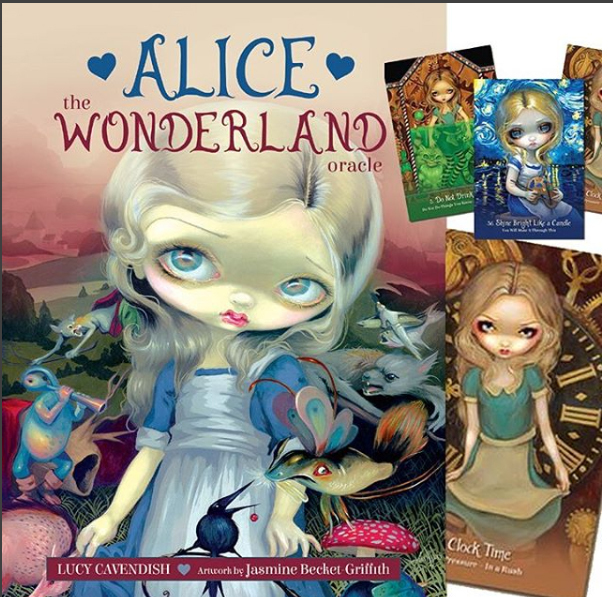 Alternately – if you are in the Disney World area on May 28th – drop by Pop Gallery that evening at Disney Springs – I’ll be there autographing and throwing an early release party for the Faerytale Oracle Deck at the gallery. Details about the event are here. On our way to the UK! 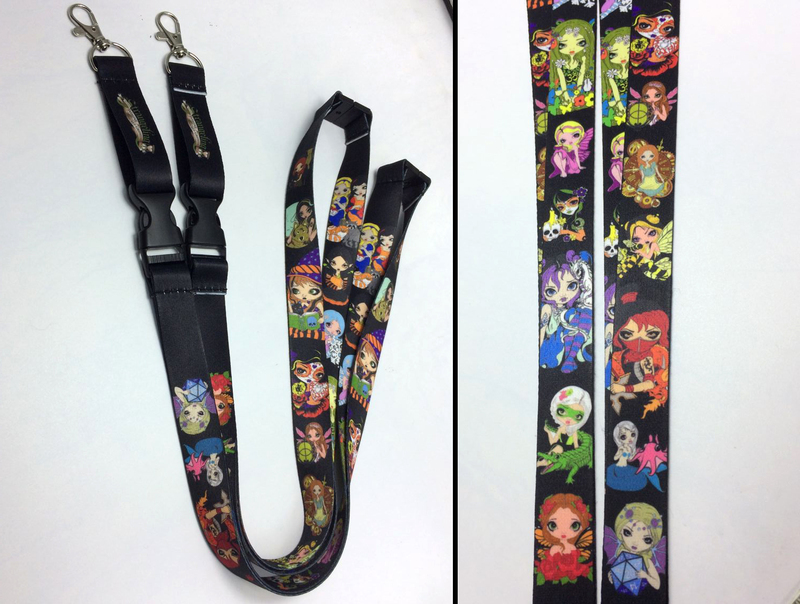 Disney Co-Op, Canvas Sale, Mermaids…. I am now on my way to the UK for my two events – the Avalon Faery Fayre in Glastonbury (October 25-26 – details here) and the Whitby Goth Weekend (November 1-2 – details here). If you’re in the UK come out & say hi! Vacation Alert: Since I’m overseas, the Strangeling eBay store is in Vacation Mode. All paid orders have now shipped. All other new payments on Strangeling eBay items or new strangeling.com website orders for Limited Edition Canvases will ship upon our return, November 5th. eBay store/fixed priced listings will magically appear upon my return. 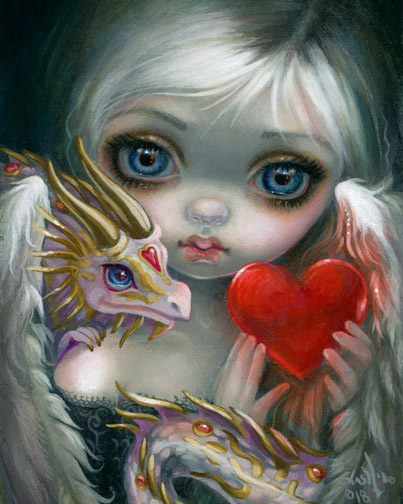 Two Limited edition canvases – “Clockwork Dragonling” and “Mermaid with a Golden Dragon” are now SOLD OUT. The final canvas in each edition is now up for auction here – LAST CHANCE! And in other news – Florida folks (or those of you visiting Disney World) – mark your calendars for this November 7 & 8 – I’ll be doing a special event with my Disney artwork at Disney’s Marketplace Co-Op store – details are here. Bon Voyage! Emails, correspondence & order processing will resume when I get home on November 5th. 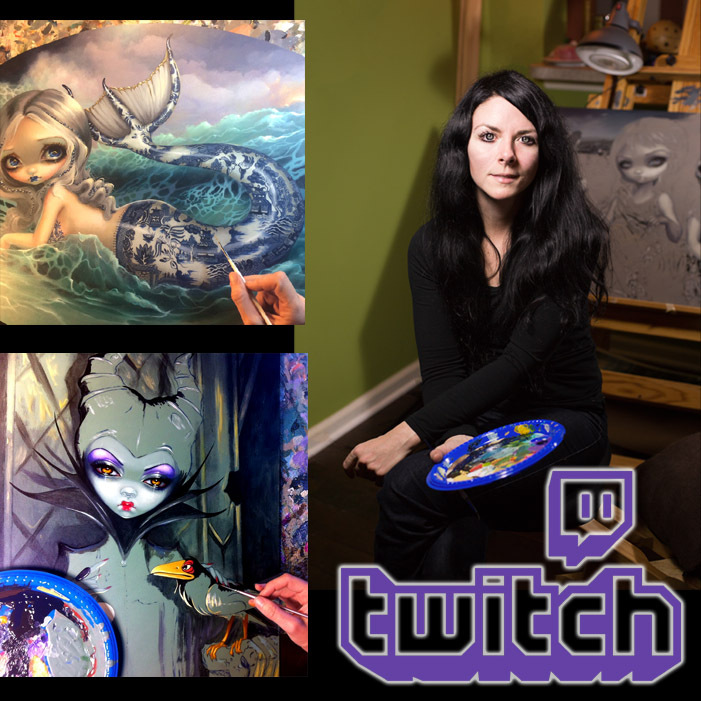 Stay tuned up at my Facebook while I’m gone – I’ll be checking in & sharing some new art & projects while I’m away! My next Oracle Deck “Myths and Mermaids: Oracle of the Water” is up for pre-order now at Amazon! Click HERE to see! We’ll be having the official “launch party” on October 18th at Pop Gallery at Downtown Disney here in Florida (details are HERE), both my sisters Amber & Kachina (authors of the book for the deck) will be there too to sign autographs, etc. 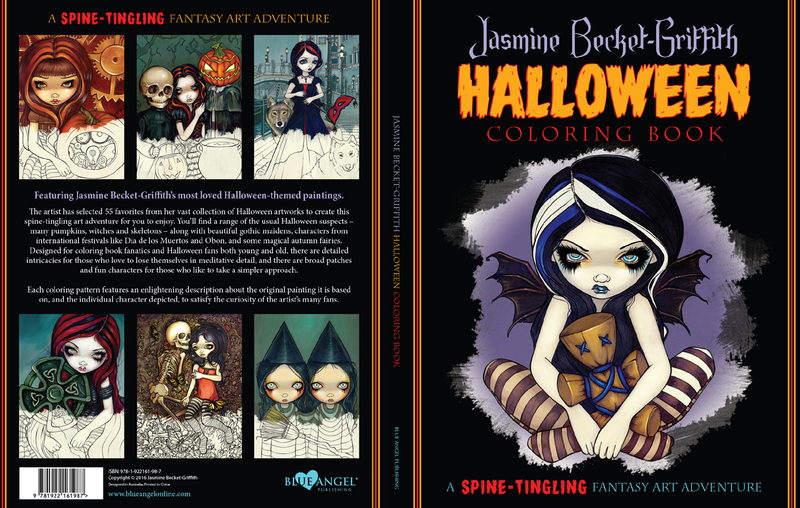 Amazon is shipping much later, so those of you who come get it at Pop Gallery on October 18thwill be getting it much sooner! Can’t make it in person? If you call the gallery – (407) 827-8200 – they can snag a signed copy at the show & mail it to you afterwards (signed by me & both my sisters – and yes, they ship worldwide!). 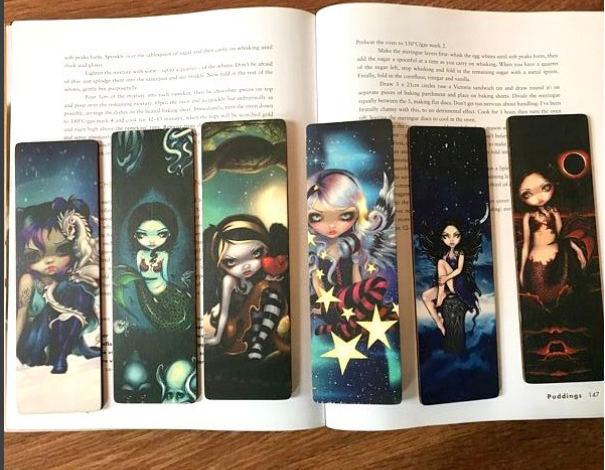 This deck focuses on Water – the sea, mermaids, mythologies of water, sirens, nymphs, sea creatures & more. Stay tuned early next year for my other upcoming decks – “Fairytale Oracle” with Lucy Cavendish, and “Beautiful Creatures Tarot” with JR Rivera! New Stuff – big update today! So much new stuff to show you today! I have two brand new paintings (from my Stilleven and Tableaux Vivants series), a new Custom Painting opportunity up for sale, a work-in-progress sneak peek for another custom painting, yet another exciting Tarot project, and possibly the BEST news of all – we have now introduced Open Edition Canvases to strangeling.com for all of the sold out canvases. That means if you missed out on the Limited Editions, you can now buy an open edition of all your favourites, with a signed COA. Be sure to scroll down to see all the new stuff! “Stilleven VII: Bloesem” is the seventh in a series of works I have planned that feature “deconstructed” elements of still lifes inspired by the Dutch master painters of the 1500-1600s, along with lovely girls, faeries & nymphs (of course!). Stilleven is Dutch for “Still Life” and “Bloesem” means “blossom”. A lot of beautiful flowers in this one (tulips, irises), some grapes, and a skull for vanitas – all popular elements included in famous Dutch still lifes. This is my own original acrylic painting, hand painted on panel. Original painting has sold, but we have prints & canvases available! You can choose between large or small signed glossy paper prints ($9.99-$19.99 on sale this week) or the 11″x13″ Hand Embellished Limited Edition Canvas Prints (ready-to-hang!) for $125 – using the drop-down box under the Fine Art Prints options here: Prints & Canvases</p>We are happy to ship worldwide! Prefer eBay? The small signed prints are here and the larger ones are here. Be sure to check out my entire series of “Stilleven” paintings – there are seven so far, and you can see them here. Want the set of both Tableaux Vivants together? 6″x6″ Original $1600 – Faces of Faery – you tell me how to finish her! This is the deck featuring 78 different artists, for which I painted the “High Priestess” Card – my Loup-Garou: La Grande Pretresse piece with the wolves. Myself, Larry Elmore, Meredith Dillman, Delphine Griffin, Tanya Bond, Tiffany Toland-Scott, Carrie Hawks so many great artists are in it – representing many genres and media. 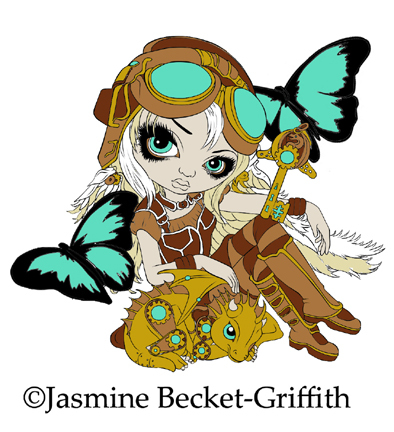 There is a special Jasmine Becket-Griffith package as part of the Kickstarter – the $250 level gets a limited edition canvas of my High Priestess painting as well as aspecial card deck that has my painting on the cover (and additional rewards too). The Kickstarter runs for 30 days to raise the funds for the publication, so any little bit helps. Definitely take the time to look through the kickstarter page, there are videos, previews of all the cards, a website showing all the artists, and more. Every dollar helps, and a $45 pledge gets you the deck, shout-outs on the website, and additional rewards, definitely check it out. Every dollar helps, and there are a lot of wonderful people who have worked hard on this project – please share with any Tarot lovers in your life! Speaking of Tarot – be sure to pre-order my “Beautiful Creatures” Tarot Deck – it is up on Amazon HERE and will be published in December. 78 Cards all with my paintings! Open Edition Canvases now online! Did you miss out on your favourite painting as a Lt. Ed. Canvas? Good news! We now have the OPEN edition canvases (with a signed COA) up at Strangeling.com HERE . They have been added up there for ALL of the Limited Editions that have sold out. 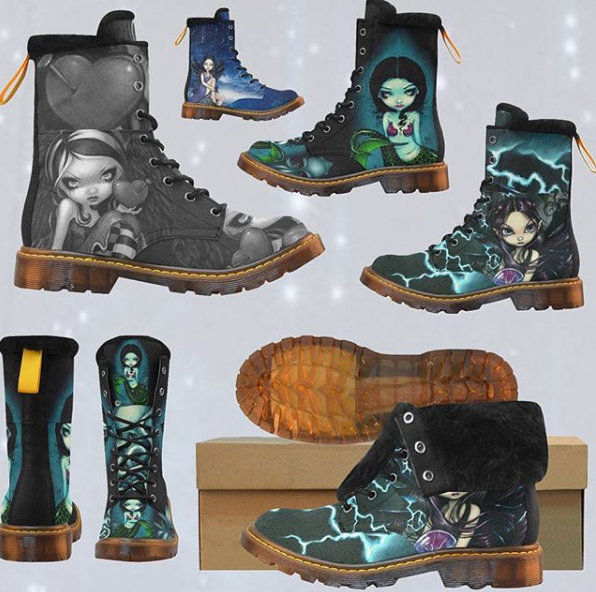 These are like the ones we have at the Renaissance Festival, art shows, etc. – on the deep stretcher bars, 12″x16″ (or 8×10 or 10×10 depending on the painting), they are remarqued with my initials on the front and come with a signed certificate of authenticity, truly the next best thing to the Limited Editions. These are only available online once all the Limited Editions are sold, and are priced at $125 (or $95 for those that are 8×10 or 10×10). Yes, we ship worldwide. We will continue to add Open Edition Canvases as more Limited Editions continue to sell out. These are not numbered, not hand embellished, not limited in edition, but they are quite nice and come with the signed COA, so they are definitely the next best thing if you missed out on the original or the limited editions.